Read this great gardening addict article, and see if any of it sounds like you! Gardening Addict - This is a Great Gardening Story! See if it sounds like YOU! It sure sounds like me! 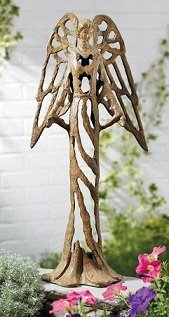 SHOP OUR GARDEN SUPPLY STORE FOR EVERYTHNG YOU NEED TO GROW A BEAUTIFUL AND HEALTHY GARDEN THIS EYAR! Find out more about SBI here, Check out their 90 trial offer! The following article was sent to me by a fellow plant lover. I would feel like I was slighting my visitors if I did not share it. Pass it along to your gardening friends too! And read the other articles on this website about gardening, that I have written. It is so Funny, yet I am so much like this that I can SO relate to the topic! I am so glad to to get my hands back in the dirt again! Here is the story! I'm calling it "Gardening Addict"
You Know You're Addicted to Gardening When... Your neighbors recognize you in your pajamas, rubber clogs and a cup of coffee. You grab other people's banana peels, coffee grinds, apple cores, etc. for your compost pile. You have to wash your hair to get your fingernails clean. All your neighbors come and ask you questions. You know the temperature of your compost every day. You buy a bigger truck so that you can haul more mulch. You enjoy crushing Japanese beetles because you like the sound that it makes. Your boss makes "taking care of the office plants" an official part of your job description. Everything you touch turns to "fertilizer". You dumpster-dive for discarded bulbs after commercial landscapers remove them to plant annuals. You plan vacation trips around the locations of botanical gardens, arboreta, historic gardens, etc. You sneak home a 7 foot Japanese Maple and wonder if your spouse will notice. You always carry a shovel, bottled water and a plastic bag in your trunk as emergency tools. You talk "dirt" at baseball practice. You spend more time chopping your kitchen greens for the compost pile than for cooking. You like the smell of horse manure better than Estee Lauder. You take every single person who enters your house on a "garden tour"
You look at your child's sandbox and see a raised bed. You ask for tools for Christmas, Mother/Father's day, your Birthday and any other occasion you can think of. You can't bear to thin seedlings and throw them away. You scold total strangers who don't take care of their potted plants. You know how many bags of fertilizer/potting soil,/mulch your car will hold. -Author Unknown, I'd love to give credit to the rightful author. so would I, Thanks whoever you are. This is so cool! You offer to be a free gardener for strangers in order to dead head their flowers to gather seeds! 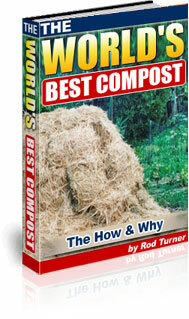 Check out this other valuable information about Compost! How to Create Your Own “Garden of Eden”…Click Here! "This Mysterious ‘Humus Colloid’ Solution Of A Ukrainian Nobleman Proves 99.99% Of The So-Called ‘Experts’ Are Totally Wrong About How To Grow Healthy Plants! Here is a sneak peak of our Garden Supply Store! Make Your Love for Gardening even more addictive, with help from these Garden Tools! Transport potting soil, yard supplies, garden tools as a wheelbarrow. Easily convert it to a small yard trailer to haul large loads of top-soil, lumber, etc. Sturdy steel frame is powder-coated, built to last. Heavy-duty treaded wheels. Take a stroll thru my gardens, and then get inspired to create your own favorite place to be! Backyard Projects includes 9 projects for your backyard! 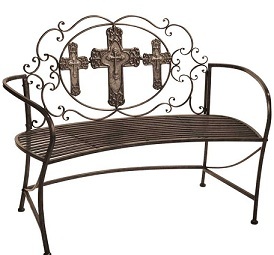 Find a great selection of garden benches, perfect for adding a relaxing area in your garden. Also find planters, and lots of other decorative items. Click on the garden bench photo here!